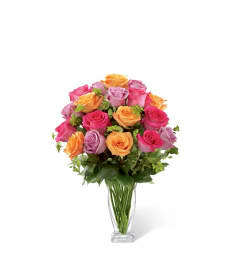 Sometimes the simplest gesture of love and caring kindness can make a person's day, week, month, or even their year! 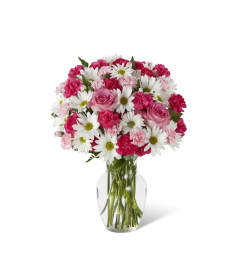 Spread some light and let your recipient shine by surprising them with this simply stunning flower bouquet that brings together a mix of hot pink, coral, lavender, and pink roses to captivate and fascinate at every turn. 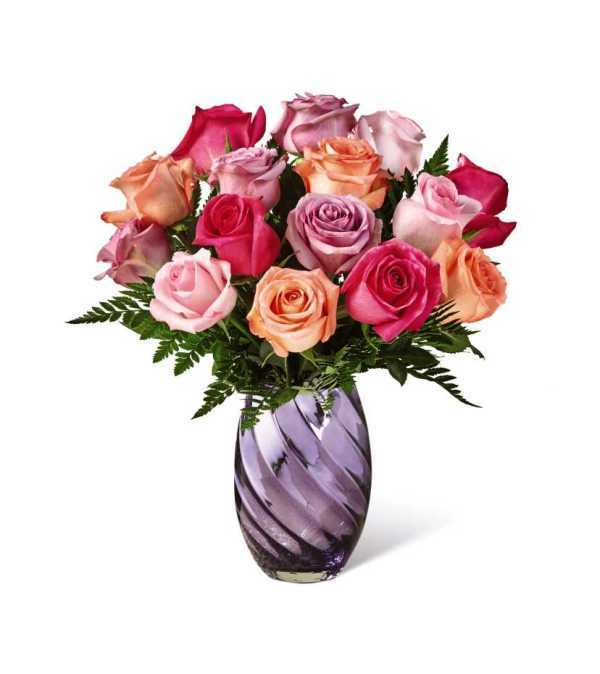 Presented in a gorgeous keepsake lavender glass vase with a metallic finish to catch the eye and a swirling design pattern that gives it even further interest and detail, this spring rose bouquet is set to create an incredible birthday, thinking of you, or congratulations gift.